Asea of homemade political placards and pink knitted hats flooded Montpelier Saturday as demonstrators overwhelmed the capital to protest the policies of President Donald Trump. 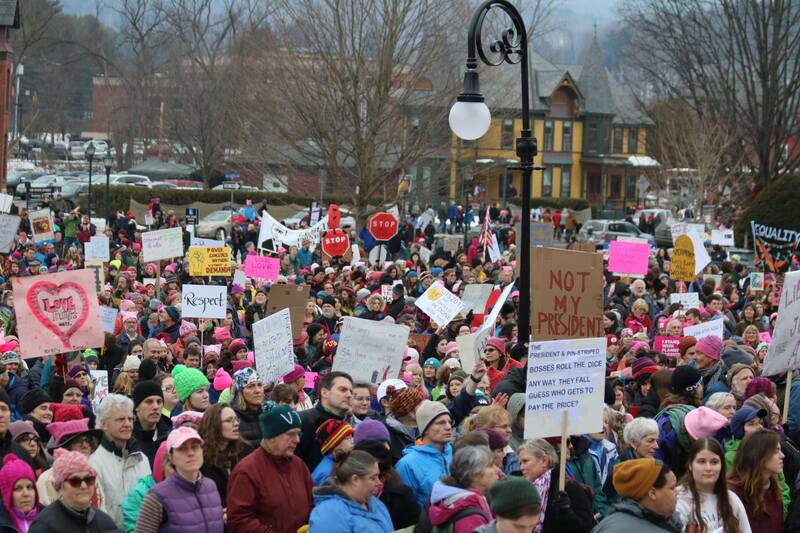 The local Women’s March drew an estimated crowd of between 15,000 and 20,000 to Montpelier, according to police, making it possibly the largest demonstration ever in the capital. More than 500,000 protested in Washington, DC at a national event, and there were similar protests to Vermont attended by tens of thousands in cities across the country and globe. 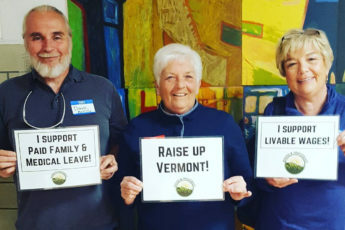 As Vermonters descended on Montpelier from across the state, traffic backed up for miles, including on Interstate 89, where police closed several exits, including the entrances to Montpelier from both the north and south.